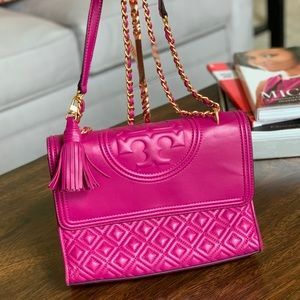 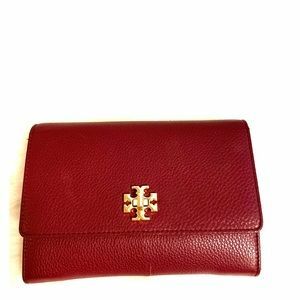 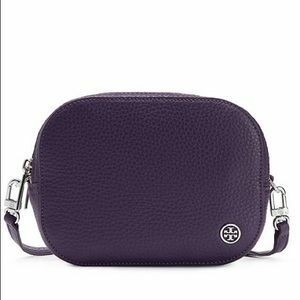 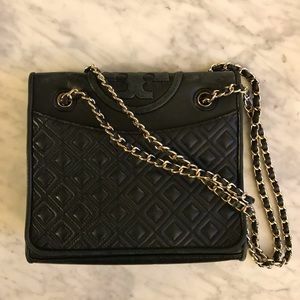 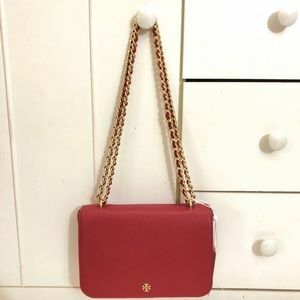 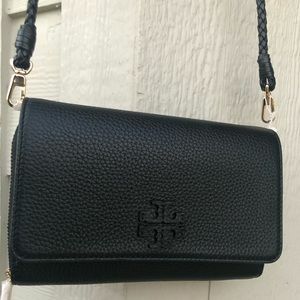 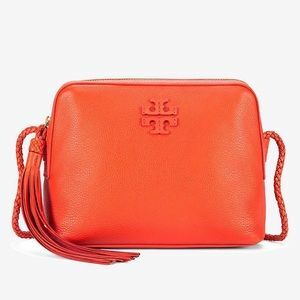 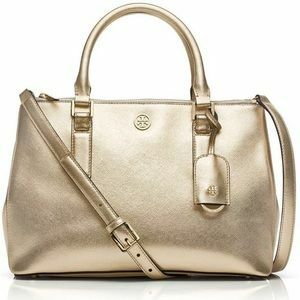 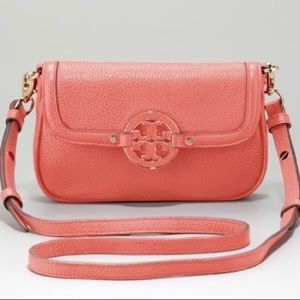 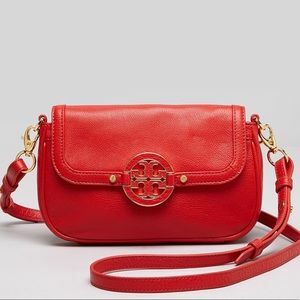 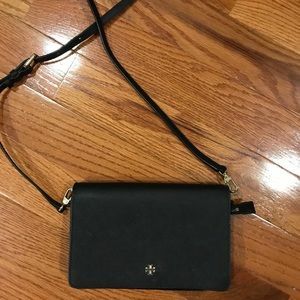 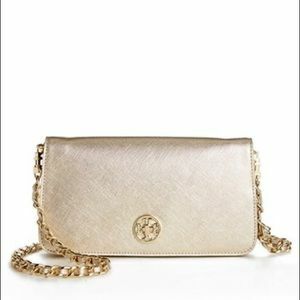 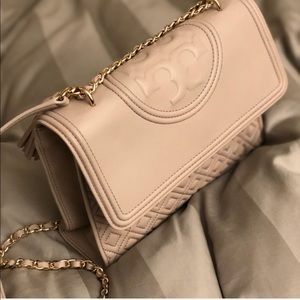 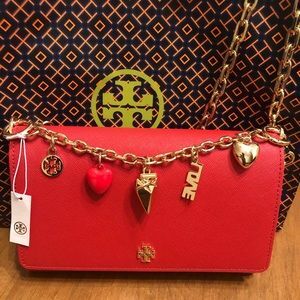 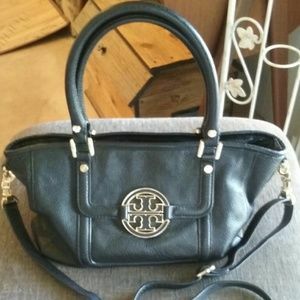 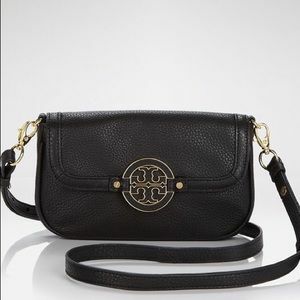 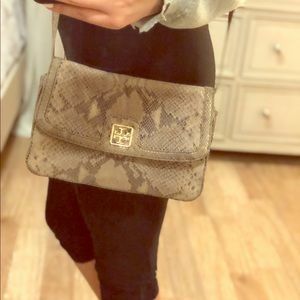 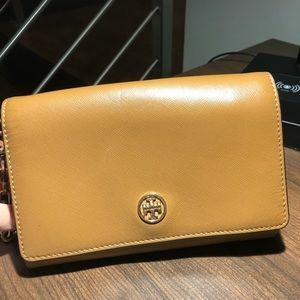 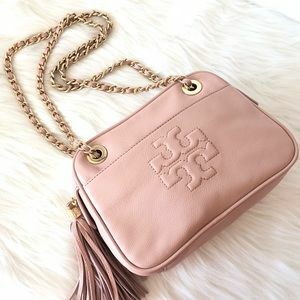 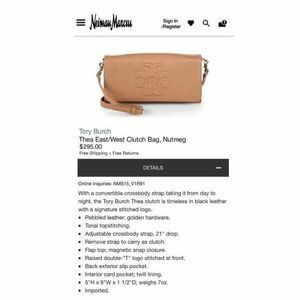 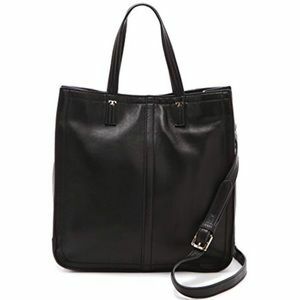 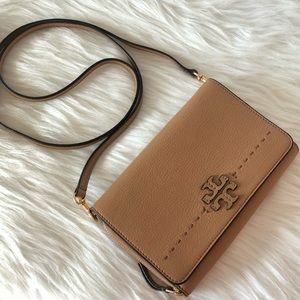 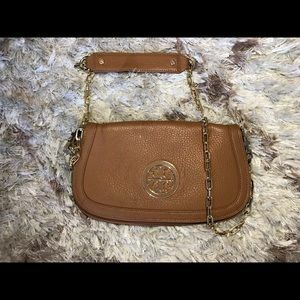 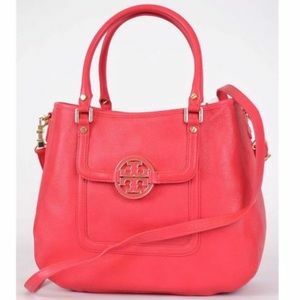 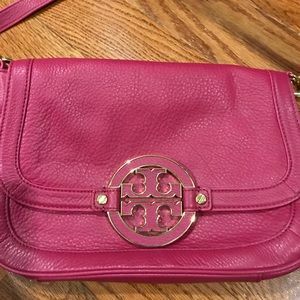 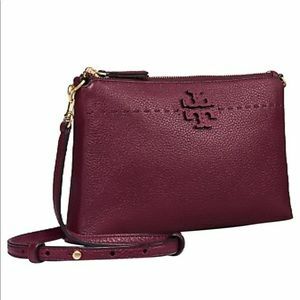 This Tory Burch bag is brand new, never worn. 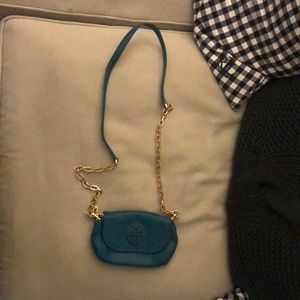 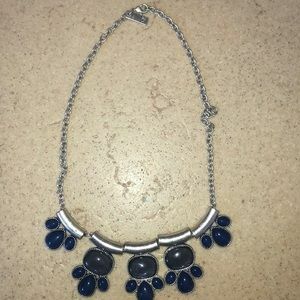 It is a light blue patent leather with a white square in the middle. 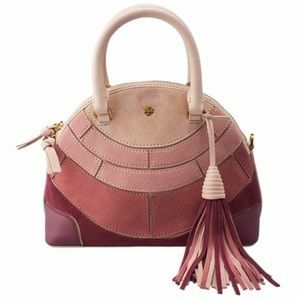 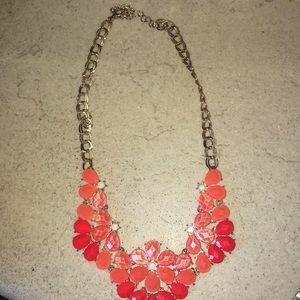 There is also a tassel on the side.